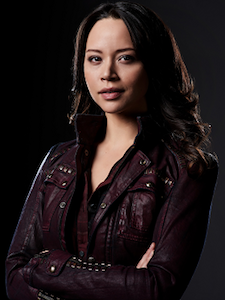 Powered by nanites and born ‘Rebecca,’ Two is a kind-of robot who was in love with one of her creators, Dr. Shaw, and when Shaw started to die, had a robot built in her likeness with the intent of having Shaw put in the body. Of course, somewhere before all that happened, she became Portia Lin, space pirate, and then lost all her memories. While she woke Dr. Shaw up and helped heal her, the good doctor was in love with Rebecca, not Portia or Two. Please don’t ask us to explain how she’s a mother when she’s a robot. And no, we don’t know if she was in love the Android or not.